“No. Without a doubt, issues remain with this treaty because – and [Russian President Vladimir] Putin has said so more than once – many countries in Asia and other regions are developing systems that can be classified as intermediate-range missiles,” Peskov said when asked whether Moscow considers the INF Treaty a relic of the Cold War. “Nevertheless, Russia and the United States remain the two key countries that are responsible for global stability and security,” he said. Peskov disagreed that the U.S.’ withdrawal from the INF Treaty would be a win for Russia, as the latter would be free to develop and use relevant weapons. “Putin has said more than once that the United States is de facto taking actions that erode the provisions of this treaty, contradict these provisions. 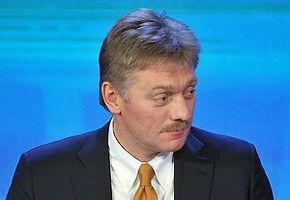 Putin has always said that scrapping this document would hurt global security and stability,” Peskov said.